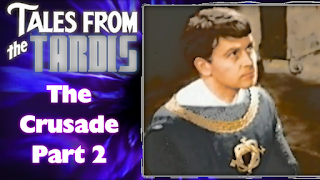 The Crusade Part 2: "The Knight of Jaffa"
This episode is one one of the many episodes from the First and Second Doctor Era that was lost and as of yet to be recovered, existing only in audio phone with telesnaps that were taken during production. 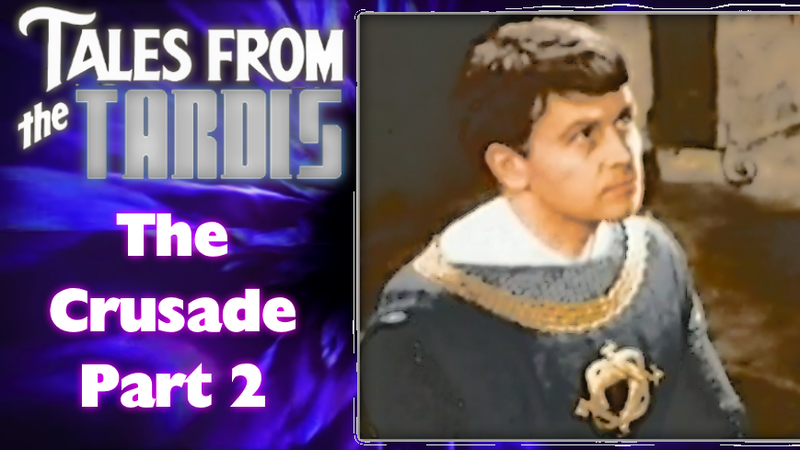 As stated previously, I happen to have the Loose Cannon Productions ‘reconstruction’ of this episode, and I reviewing this episode of Doctor Who based on the context of the story and plot developments, and what visual representation that was used for ‘rebuilding’. 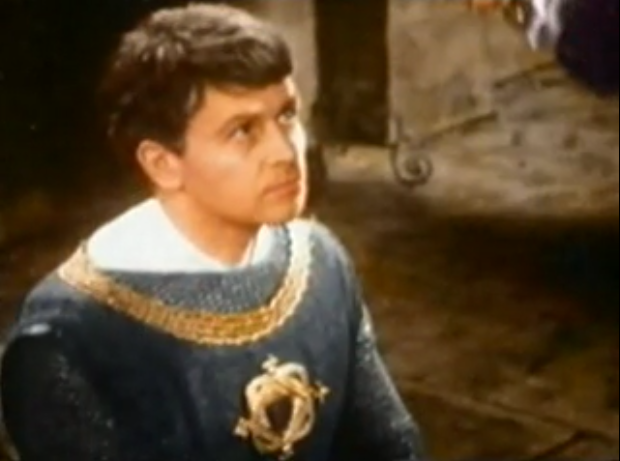 Now the episode has three plot threads, which of course I’ll be going over, and we’ll begin with The Doctor, Ian & Vickie with trying to convince King Richard to help, and along with the help of De Tornebu, suggesting that Saladin would be embarrassed to learn that he did not actually capture The Lioneheart, but instead one of his nights (granted Saladin is already aware of this), and this amuses Richard greatly as it could be turned into an advantage for negiotation, inviting the Doctor to join his court. 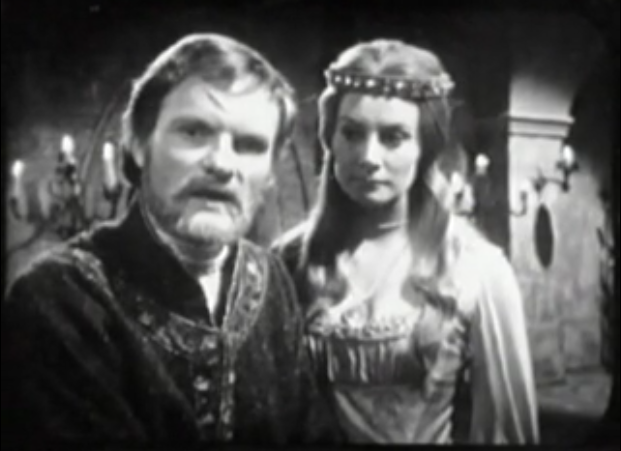 Princess Joanna arrives and does become friendly with The Doctor and Vicki, who for her own safety is pretending to be a young man named ‘Victor’. In a real cool scene that I wish there was a visual record of, Ian is knighted by King Richard so that he can have some actual author thy (deemed Sir Ian Knight of Jaffa) and is sent as messenger to request the release of Des Preaux and Barbara, while also offering the hand in marriage of the real Joanna to Saladin in order to bring a stop to the bloodshed. Now something I didn’t touch upon with part one was a scene where The Doctor steals some clothes from a merchant in order to properly disguise himself Ian and Vicki. In the first episode, they take advantage of discovery between a shop-keeper and a Saracen solider who stole some clothes from King Richard’s forces, so they proceeds to take the stolen property. 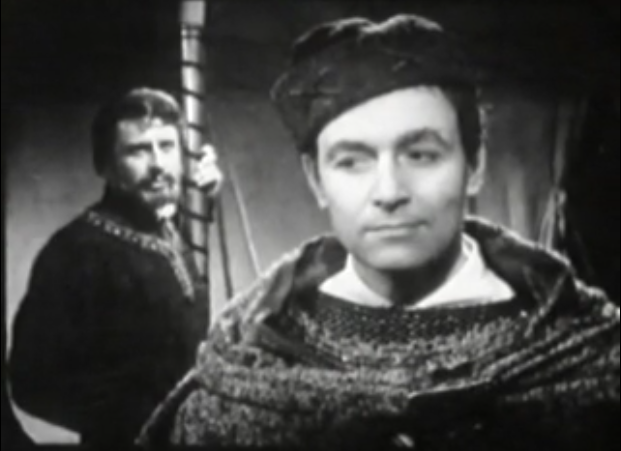 The merchant and another gentlemen end up rightfully accusing the Doctor of theft, but the truth is revealed and the Doctor is cleared of the crime because all he did (as I just said) was steal what was already stolen. Because of how he was embarrassed El Akir wants revenge on Barbara for not being who she claimed (Princess Joanna), by kidnapping her to sell her off to a harem in Lydda. To accomplish this, he gets an ‘ally’ in the form of a merchant named Luigi who wants to meet with either Saladin or Saphadin in regards to opening a trade route, and El Akir says he’ll arrange a meeting if he helps him abduct Barbara. Luigi agrees and they nearly get away with it, but a glove that was left behind reveals that deed and Luigi is killed. However El Akir does have Barbara and takes her Lydda in order to try to sell her off to a harem, we see that she does escape and runs through the streets trying to avoid being recaptured. She hides in an alley where an unknown person (at this time) covers her mouth leading into the cliffhanger. 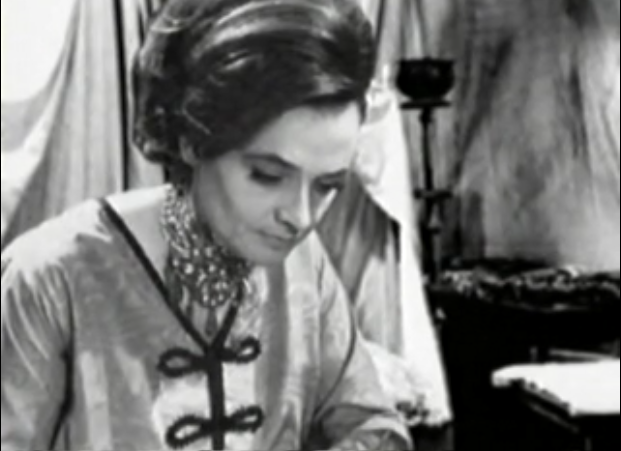 Without question this episode moves everything along nicely, and with a number of interesting plot developments that will end up coming into play, with Ian being a knighted and Barbara off on her own with her really having to fend for herself as best she can. 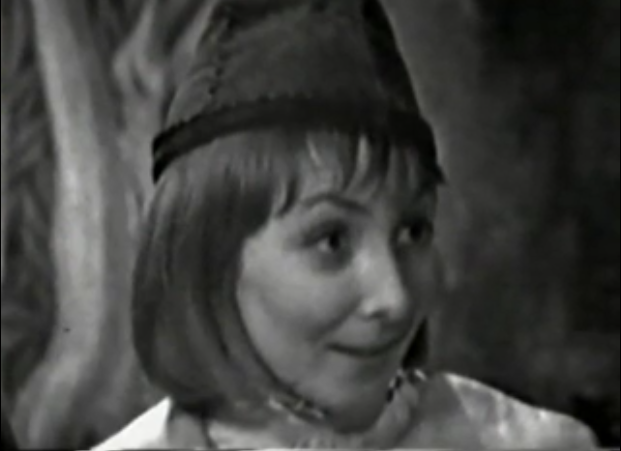 Something interesting regarding Ms. Wright is that she since Saladin was going to have her be a ‘story teller’, she was considering what stories she could tell him, and I believe this was a subtle reference to 1001 Nights, but the stories she was going to tell were works of Shakesphere, Hans Christian Anderson and Johnathan Swift’s Gulliver’s Travels. And with that my friends, and you are my friends, be kind, subscribe and we’ll see you next time… which will be later tonight to go over tonight’s new episode of Gotham!